Most of us dream of paying for an Economy fare and receiving a free upgrade to Premium Economy or Business class when we fly. Unfortunately that's not the way the world works, and simply asking nicely at check-in or "dressing like you deserve to be sitting at the pointy end" (which seems to be a common tip that gets recirculated every few months on the Internet) are unlikely to get you a free upgrade at the airport. 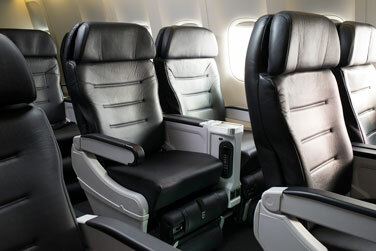 Air New Zealand 777-200ER and 787-9 Premium Economy. Photo courtesy of Air New Zealand. All airlines do occasionally upgrade passengers for various reasons either at check-in, or at the gate. This is known as an operational upgrade, or "op up" in the industry. Reasons for this can include scenarios such as oversold flights or requirements to seat passengers together which means relocating others. In these cases, frequent flyers or those with status with the airline are normally the first in line for such upgrades. Air New Zealand 777-200ER, 777-300ER and 787-9 Business Premier. Photo courtesy of Air New Zealand. At the end of the day money talks and the only guaranted way to sit in Premium Economy or Business Premier is to pay for it. If you're an Air New Zealand customer wanting to fly in Premium Economy or Business Premier without paying the full ticket price outright there are three upgrade options available that allow you up move further towards the pointy end - but it's important to remember that all upgrades are subject to availability. 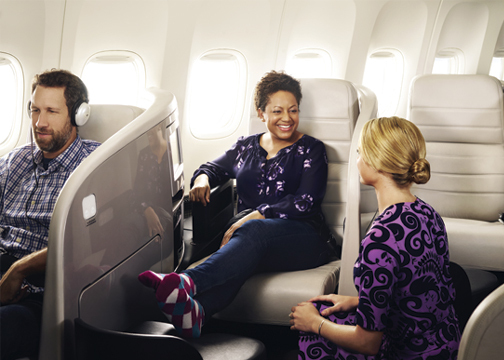 Air New Zealand Airpoints Silver customers get a single complimentary recogniton upgrade per year. Airpoints Gold customers get two complimentary recognition upgrades per year, and Airpoints Elite members get two complimentary long-haul recognition upgrades, along with a single short-haul recognition upgrade that can be used on Australian and Pacific Island Seats to Suit routes excluding Honolulu and Perth. A single recognition upgrade allows a single class upgrade when lodged, allowing you to go from Economy to Premium Economy, or from Premium Economy to Business Premier. If you're a Gold or Elite customer lodging two Recognition Upgrades upgrades together will allow you to jump two classes and go from Economy straight to Business Premier. 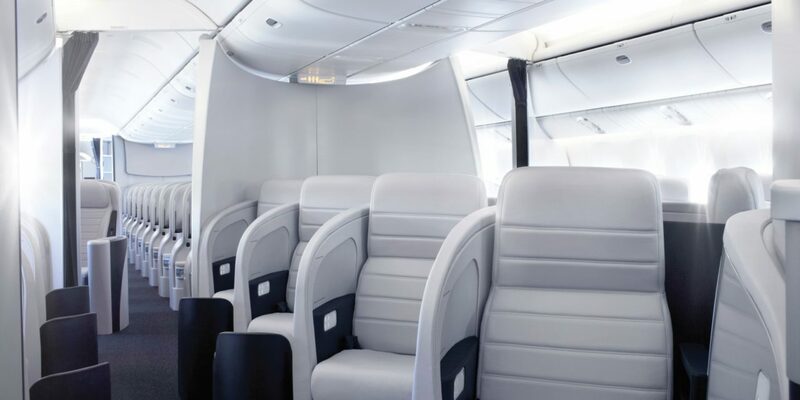 Silver, Gold or Elite Recognition Upgrades along with Elite short-haul recognition upgrades can be used to jump straight from Economy to Business Premier or from Economy to Premium Economy (yes you can pick between the two) on applicable Seats to Suit routes excluding Honolulu and Perth. Recognition upgrades should be lodged as far out as possible before a flight to improve your chances of them clearing. For Airpoints Elite customers these can be cleared immediately up to 355 days out if there is 'R' booking class available in Business Premier, or 'A' booking class available in Premium Economy. 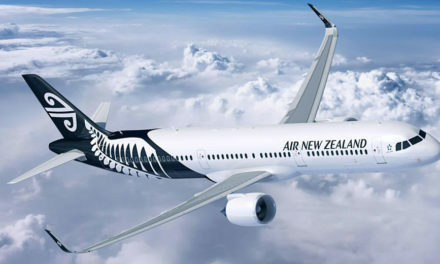 Availability of 'A' class inventory can be seen using resources such as Expert Flyer, however Air New Zealand do not make the availability of 'R' class inventory public meaning the only way to establish availability is to phone them. On a number of occasions I've booked flights around 'R' class availability after checking with Air New Zealand - I'd much prefer to be flexible with my dates and have my upgrade cleared at the time of booking than run the risk of this not clearing if a flight is full. If not cleared at the time of booking, Recognition Upgrades will typically be looked at around a week before travel and cleared if space is available. Upgrades are cleared by Airpoints tier level and the order in which they are lodged. If a flight is very full it's unlikely that your upgrade will clear until the day of travel, or even until check-in is fully complete. This means that your upgrade can often clear in the lounge or at the gate. If your upgrade is not cleared the Recognition Upgrade will normally be returned to your Airpoints account within a few hours. If your Recognition Upgrade has not cleared at check-in you are entitled to the baggage allowance of the class you have lodged the upgrade for (Premium Economy or Business Premier) on long-haul services. On short-haul Seats to Suit routes this rule does not apply. Airpoints Elite members can gift their Recognition Upgrades to any other Airpoints member they have listed on their gifting register, even if they don't reside in the same household. They also do not have to be travelling with the passenger they're lodging the upgrade for. Airpoints Silver and Gold members are unable to gift Recognition Upgrades. If you're travelling with somebody on the same PNR (your booking reference code) and they also lodge a Recognition Upgrade this will be cleared in line with your status. This means if you're an Elite member their upgrade can also immediately clear if there is "R" or "A" class availability. 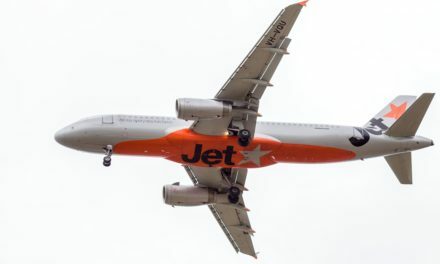 It's also a little known and undocumented benefit that Recognition Upgrades can also be used to upgrade from a Seat or a Seat+Bag fare to Works Deluxe on Australian and Pacific Island Seats to Suit routes that use an A320 aircraft. This upgrade cannot be done online and must be lodged via the Air New Zealand call centre. Recognition Upgrades are valid for 12 months once they are credited to your account before being removed if not used. You can however lodge these upgrades for flights into the future beyond this date providing the upgrade is lodged before the expiry date of the Recognition Upgrade. If the upgrade is not cleared for this flight the Recognition Upgrade will be lost and can't be reused for a subsequent flight. If you jump up a tier status in the Airpoints program any upgrades that remain used from your previous status will be lost. This means if you're Silver and meet the threshold for Gold you will lose your single Silver Recognition Upgrade if this has not been lodged, and find it replaced with 2 x Gold Recognition upgrades. If you know you're likely to jump tiers in the Airpoints program it pays to lodge your upgrade before you hit the new tier to avoid wasting it. If you lodge a double upgrade from Economy to Business Premier you will not automatically be considered for a single class Premium Economy upgrade if Business Premier is full. If your upgrade hasn't cleared after check-in and you're happy with Premium Economy then it's worth asking Air NZ staff as to whether your upgrade will clear, and to check about the availability of Premium Economy instead. Airpoints Elite customers have access to Elite Airpoints Dollar upgrades. These are single class upgrades for a fixed price and paid for using Airpoints Dollars. Elite Airpoints Dollar upgrades allow you to upgrade from Economy to Premium Economy, or from Premium Economy to Business Premier. 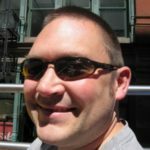 As an example at the time of writing this it's APD$220 to upgrade from Economy to Premium Economy on a flight from New Zealand to North America, or APD$480 to upgrade from Premium Economy to Business Premier on a flight from New Zealand to North America. Airpoints Dollar upgrades also use 'R' and 'A' booking classes. Airpoints Dollar Upgrades can be cleared up to 355 days out if 'R' or 'A' booking class availability exists when lodged. 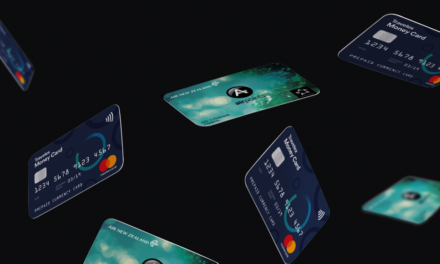 Like Recognition Upgrades, Airpoints Elite members can gift Elite Airpoints Dollar upgrades to any other Airpoints members they have listed on their gifting register, even if they don't reside in the same household. They also do not have to be travelling with the passenger they're lodging the upgrade for. If you're an Elite member travelling with somebody on the same PNR and lodge an Airpoints Dollar Upgrade on their behalf this will be cleared in line with your status. This means their upgrade can also immediately clear if there is "R" or "A" class availability. Elite Airpoints Dollar upgrades cannot be combined (stacked) with other upgrades such as a Recognition Upgrade or OneUp - you can't lodge a Recognition Upgrade and an Elite Airpoints Dollar upgrade or OneUp to jump two classes. 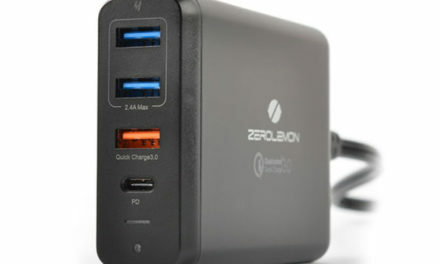 Air New Zealand operate an upgrade offering called OneUp which uses a commercial backend platform called Plusgrade. The Plusgrade platform is used by a large number of airlines and allows you to bid for an upgrade on most Air New Zealand international flights. 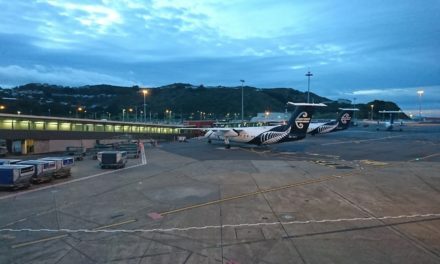 After booking an Air New Zealand flight you can log into the Air New Zealand website and submit a price you're willing to pay for an upgrade using Airpoints Dollars or cash. A "bid strength" meter (that in reality seems to bear little relationship to anything) will show your bid on a scale from weak to strong. Your bid will be upweighted after being submitted by 10% if you're Airpoints Silver, 30% if you're Airpoints Gold, and 50% if you're Airpoints Elite. OneUp upgrades will be looked at and cleared after Recognition Upgrades and Elite Airpoints Dollar Upgrades which will normally occur around 5 days or so before a flight at the earliest. If your OneUp bid has been accepted you could receive an email between 3-4 days before your flight advising you of your successful upgrade. If your OneUp bid has been declined you'll normally receive an automated email around 72 hours before your flight advising that your OneUp has been declined. If there are still spare seats on the aircraft at 72 hours out, over and above those allocated for Recognition and Elite Airpoints Dollar upgrades, you may receive an email saying your bid cannot be accepted right now, but will be reviewed on the day. OneUp upgrades can be cleared up until the day of travel. The OneUp system often sends an email out to customers who have lodged OneUp upgrades around 7 days before the flight encouraging you to "up your bid" to improve your chances of an upgrade. The purpose of this email is solely to encourage people to up their bid and generate additional income from customers should the OneUp be accepted. It's entirely up to you whether you decide to increase your bid or not - factoring in that if other customers on your flight have lodged OneUp bids they may increase them and then be ahead of you. 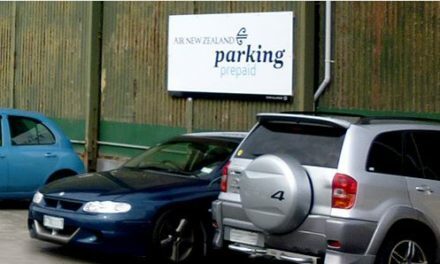 Much of the workings of the OneUp system remain a mystery to those outside the revenue team at Air New Zealand. It's clear from evidence posted on frequent flyer forums where hundreds of people have detailed successful and declined OneUp offers that the system is very much a lottery with no guarantee that any OneUp bids will even be accepted on any particular flight. If you're an Airpoints Elite customer there are very few circumstances where you would ever want to consider a OneUp as Elite Airpoints Dollar upgrade will always clear in advance of a OneUp. 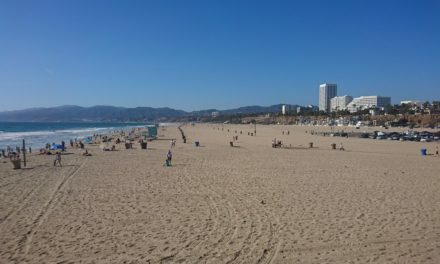 The fixed values of Elite Airpoints Dollar upgrades are lower than the starting OneUp price on many routes, and you're also not bidding against other passengers. The one exception would be Trans Tasman flights where the starting price for OneUp bids for Premium Economy and Business Premier is lower than the Elite Airpoints Dollar upgrade so bargains can occasionally be had. 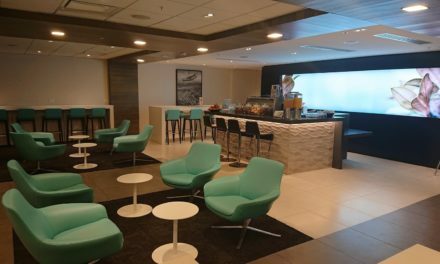 While not a class upgrade per se, Air New Zealand do make Skycouch rows available for Airpoints Gold and Elite customers if these are available after check-in is complete. In this case they will not provide the Skycouch product (mattress, pillows or blanket) but in my experience will provide seat belt kits if you ask crew nicely. If you've had an upgrade not clear it's worth asking if a Skycouch row is available. 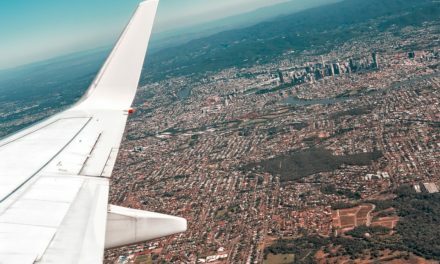 If you're flying during busy periods such as school holidays when flights are routinely full, the chances of upgrades clearing are lowered significantly. 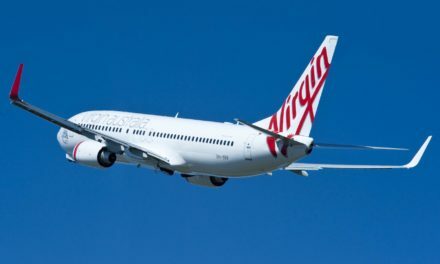 Having upgrades clear on busy routes such as Auckland to San Francisco and Los Angeles is also becoming increasingly difficult due to the both the high numbers of customers actually purchasing Premium Economy and Business Premier seats on these routes, and the numbers of upgrades being lodged. And last but not least I'll finish with one final tip.. It's a reality that not every upgrade you lodge will clear. Rather than being disappointed if it doesn't clear, you should approach an upgrade with the expectation it won't - which will make the whole experience a far better one if it does clear! PreviousHololens headsets on Air NZ flights?